#TVisCOOL: Jamie Carragher & Jamie Redknapp Hilariously Re-enact THAT Awkward Moment With Thierry Henry !! 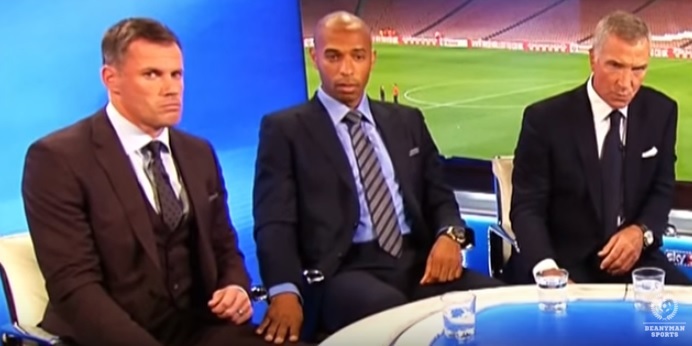 Jamie Carragher & Jamie Redknapp Hilariously Re-enact THAT Awkward Moment With Thierry Henry !! Jamie Carragher and Jamie Redknapp hilariously re-enact the moment Thierry Henry stroked Carragher's leg on live TV after hearing the news that Brendan Rodgers had left Liverpool.